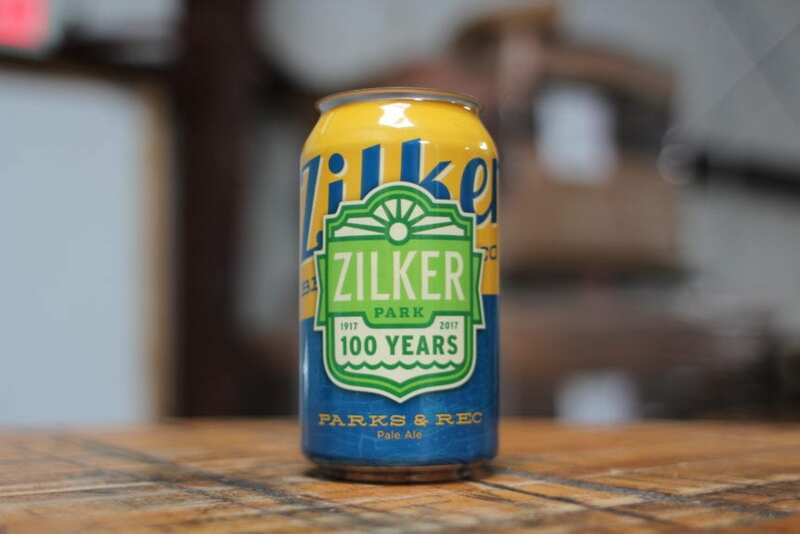 Austin Parks Foundation (APF) is excited to announce a collaboration with Zilker Brewing Company (ZBC) to create a special limited-edition beer in honor of Zilker Park’s 100th anniversary, which is being celebrated in 2017. The beer, named Parks & Rec, will be available starting on May 24th at local retailers including HEB, Central Market, Whole Foods, and Spec’s. A portion of the Parks & Rec sales will be donated to APF’s Zilker fund, which will go toward the long-term updates and maintenance of the Zilker Playscape. Parks & Rec results from over a year of tinkering and experimentation at the ZBC taproom. The beer features a proprietary blend of four different hop varieties highlighting Centennial hops resulting in a crisp, citrusy, and incredibly balanced taste. The release of Parks & Rec will be celebrated with a happy hour at the YETI Barrr on South Congress on Thursday, May 25 from 4 p.m. to 8 p.m. Guests will have the opportunity to try the beer and purchase a special Zilker 100 customized YETI Colster. One Parks & Rec beer will be included in the purchase of the YETI Colster and all the profits from Colster sales will be donated to APF.